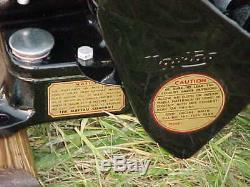 Up for sale is a very nice restored Maytag Model 72, Antique hit miss Gas Engine. 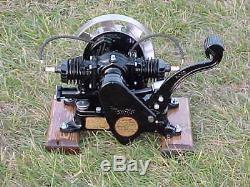 The flywheel has serial # 197354X stamped on it so it was in production 1950. Painted with original Maytag black automotive paint. The skids you see under my motors go with the engine. 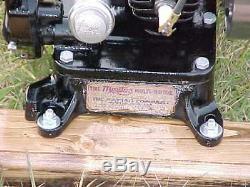 I have been restoring these engines for over 10 years. 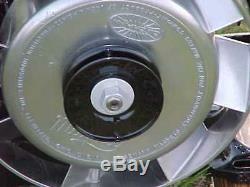 I also restore Maytag wringer washers and put Maytag motor's on them as well. 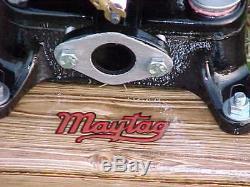 This engine was completely taken apart and SAND blasted BEAD blasted cleaned and painted the original Maytag green paint. 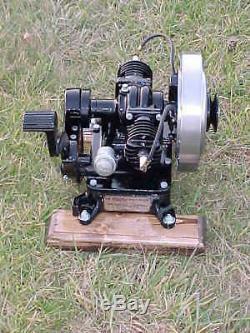 I take a lot of pride in these motors as you can see in my pictures. Lot of guys likes to copy my work so I have a trade mark that I can only tell that it is one that I had done. As you can see this engine is complete and not missing any parts such as the pulley and air cap. It has new rings, condenser and spark plugs and plug wire with new ends. I also honed out the Cylinder jug. I do not paint the flywheels like some people I just polish them up nice. After putting it all back together I ran two tanks of fuel through it and it runs just fine. I like to run my engines that much so I know it will run great and help seat the rings a little for you. 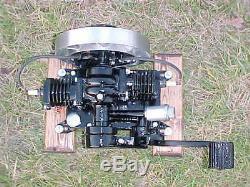 All my carburetor's get rebuilt with all new and correct parts. Then I put on a set of real nice WATER TRANSFER DECAL that I had made and sell. NOT those NASTY sticky fly by night cheap decals. The coil is good and has hot nice spark. 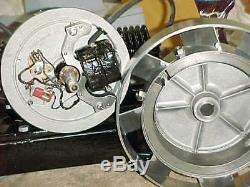 I have a lot of people will send me a motor to restore for them as well. All it needs now is fuel and you can start it with your hand, it is that easy to start. 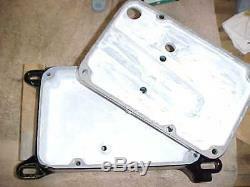 The kick pedal will be removed so you will need to put it back on. I use foam spray to pack the motor and it takes a lot. I will start packing the engine and it takes about 5 days to pack it so the foam spray can dry. 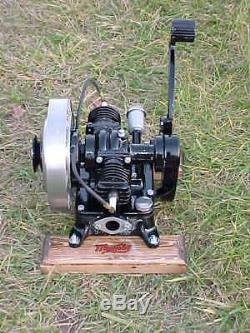 The item "Restored 1950 Maytag Model 72 Engine Motor Hit Miss Wringer Washer VINTAGE" is in sale since Sunday, November 25, 2018. 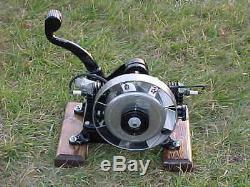 This item is in the category "Business & Industrial\Light Equipment & Tools\Stationary Engines\Engines". 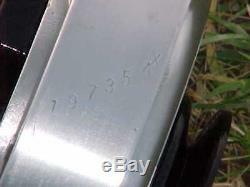 The seller is "decalman108" and is located in Harrod, Ohio. This item can be shipped to United States.